For those of you looking for a threaded barrel for you M&P 45, SilencerCo has you covered. The barrel is 5.18″ long, with a 1:16 LH twist and a .578×28 thread pitch. It’s made of 416R stainless steel with a black nitride finish. The M&P 45 barrel comes complete with a custom SilencerCo thread protector. Tactical Tailor’s Rolling Duffle Bag is large enough to carry all the gear you need for almost any mission. The large, mil spec 1000 denier Cordura Nylon bag features a 6,550 cubic inch main compartment and two side pockets, one designed to accommodate an M4 or similar sized carbine. The bag is backed up by a removable, heavy duty aircraft aluminum frame capable of supporting weights up to 150lbs. The frame is finished in tough industrial powder coating and features one piece, smooth rolling, shatterproof rubber wheels. Also features internal and external compression straps, clear ID pocket and multiple carry handles. It weighs only 10.5 pounds empty, including the frame. Now available in A-TACS iX. Elzetta Design, LLC is pleased to announce the release of our latest product; the Elzetta Bones Flashlight. As the name implies, Bones is a bare-bones flashlight with legendary Elzetta performance and durability and an always-welcomed lower price point. It produces 650 lumens and activates with a quiet bone-simple click switch. Finished in natural gray Type III hard anodizing and projecting light through a field-replaceable solid-acrylic optical lens (no reflector), Bones models join their Elzetta brethren as The Toughest Flashlights on the Planet. Made in the USA like Everything Elzetta sells. This unique stock and foregrip combination has been making the rounds across the internet, and to be honest it’s a bit mall ninja-ish, but at the same time it also manages to be really damn cool. Like, I need to make a ‘for fun’ build out of these parts cool. Ghost In The Shell, Shadowrun, cyberpunk cool, if I may be so bold. 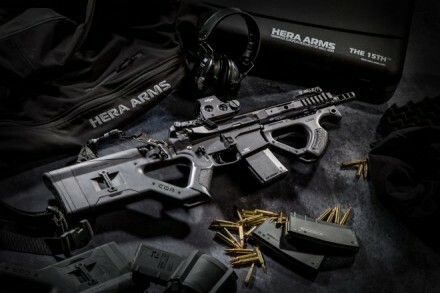 The two components are called the CQR Stock and CQR Front Grip, and are the creation of Germany-based HERA Arms, a company which specializes in manufacturing weapons and weapons accessories. Utah-based LAN World is the current importer of HERA Arms components into the USA, and supposedly they’ll be offering the CQR parts in the coming months. I, assuredly like many others, eagerly await their availability. They’re also making a Commiefornia compliant version, so if you have to neuter your rifle, at least it can be done in relative style. There’s a first time for everything and this time it’s free shipping from Kitanica on their fleece. It’s getting cold out there. Order yours now! Coming SHOT Show 2017, these are the MultiCam Hoodie and ¼ Zip from XGO. Both are made from XGO’s Phase 4 fabric (90% Polyester / 10% Lycra) with Acclimate Dry amd AG47 (Both are proprietary XGO treatments for moisture management and antimicrobial). PORTLAND, OREGON – Gerber, a leading producer of personal knives, tools, and gear, announced today that it has brought on a third shift at its Portland, OR USA Manufacturing plant. Responding to increasing demand for new and existing US Made products, the Brand expanded local employment and plant operations to 24/7. “Gerber’s Portland plant has remained a steadfast and strategic part of the business” said Kalon Pilmanis, General Manager of Tools and Gear at Gerber. “We have been working for years to increase the strength of our domestic manufacturing and this move confirms our organization’s direction as well as the quality and innovation of our products, both new and mature”. Numerous products and initiatives are contributing to the substantial volume increases that warrant the shift. 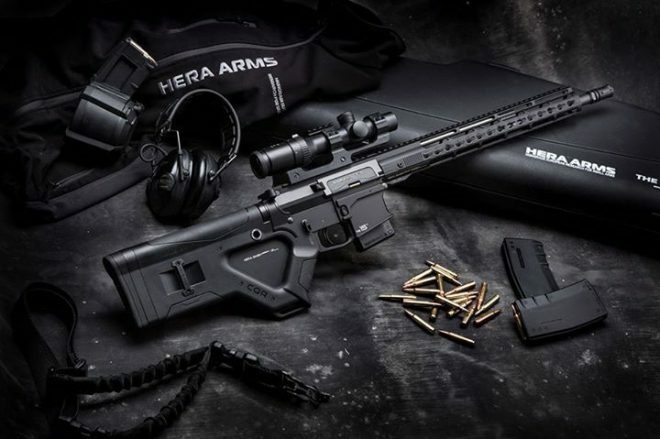 A few well known products include the StrongArm Fixed Blade, Impromptu Tactical Pen, 06 and Covert Automatic knives, and the iconic MP600 Multi-tools. Two new products adding to the excitement are the new Center-Drive Multi-tool and the US-Assist Pocket Knife, both available in Q4 of 2016. You may have known him by his pen name, Dalton Fury. But in life, he was known as Tom Greer. Not long ago, we told you that Tom had terminal pancreatic cancer. I’m sorry to say that he recently passed away from cancer at age 52. He wrote the book, “Killing Bin Ladin” about his time as an Army officer in Delta, and also created a series of fiction fearuring ex-Delta Operator Kolt Raynor. I think there was a lot of Tom in Kolt. He was a great man, both in and out of uniform. He would often travel to Atlanta’s Hartsfield International airport near his home to give copies of his books to service members and that was the majority of my interaction with him. I sent him copies of his books to hand out. I supported his work via SSD, and exchanged notes. I’m very sorry to see him taken so young. He’s a man who still had a lot to offer the world. Initially, I didn’t want to post about his passing, not wanting it to be a spectacle. Even though he had written several nooks, he was not a public man and I’m not sure that anything I could say would properly honor the man. Then, his brother CSM Steve Greer, shared this video memorial to Tom, so my feelings changed on the subject. It’s solemn and I found it a very fitting tribute.